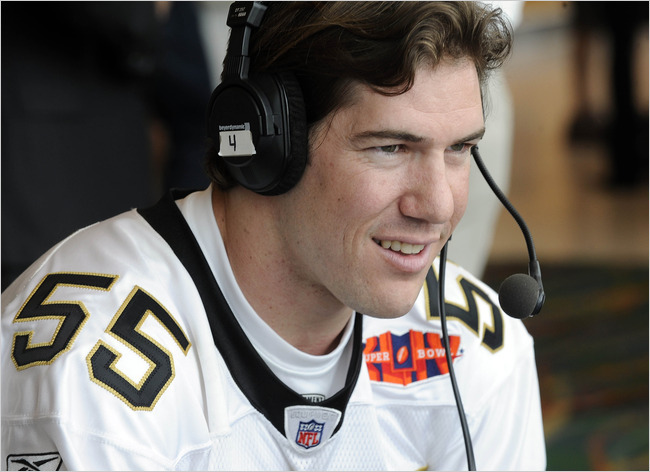 New Orleans Saints linebacker Scott Fujita addresses hot-button issues the way he might meet an opposing running back: directly. So Fujita was not shy Tuesday about entering two Super Bowl debates that have little to do with his team’s game Sunday against the Indianapolis Colts. At issue are two Super Bowl television commercials, one about abortion, the other about gay rights. This entry was posted on Wednesday, February 3rd, 2010 at 12:44 pm and is filed under Uncategorized. You can follow any responses to this entry through the RSS 2.0 feed. Responses are currently closed, but you can trackback from your own site.